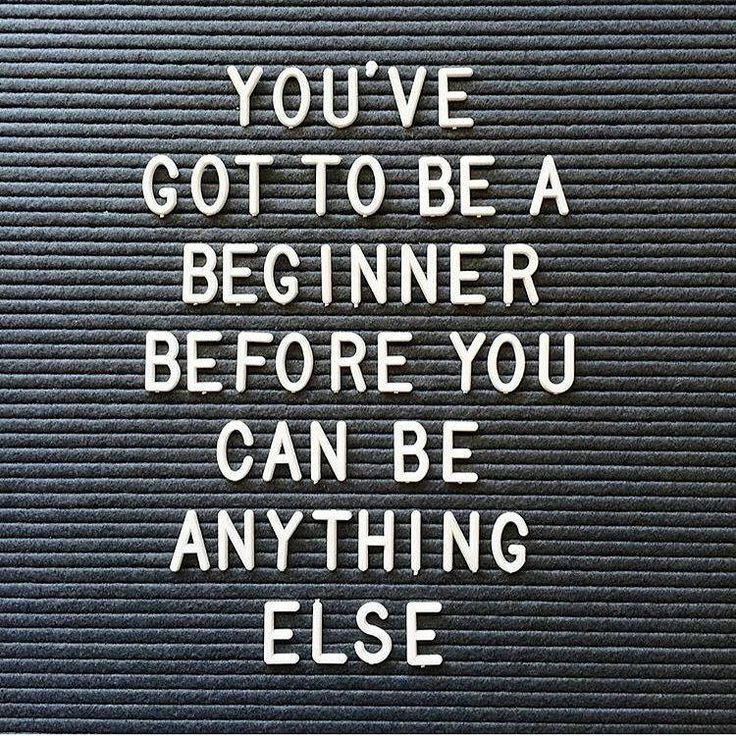 Being a beginner isn’t something that a person wants to be, it’s always inevitable because to get to an expert level you have to pass through the beginning stages. Mastering a certain skill or becoming an expert in it isn’t a bad thing at all, but it can have a negative effect. If that’s just the goal you have in mind, to become an expert at something along the way you can lose the motivation to continue, especially if you having trouble reaching success, and so the enthusiasm of wanting to learn a new skill or the fun that came with it right at the very beginning can soon disappear. I’m not at all trying to say you should remain a beginner level in a certain skill and never reach the level of mastering something that intrigues you or that’s important to you. It’s just about having the mindset of a beginner. That involves having a fluid mindset, of knowing that you don’t everything there is to know, that there’s always something new to learn. It’s the idea of wanting to improve to reach a higher level of success but to keep the enthusiasm alive. Part of me will always believe that human nature goes against being a beginner, when you hear about people and their success stories, that’s usually that’s shown, the success and end result. You never really see the gruelling effort, the failure, the setbacks, the lack of motivation, the almost-wanting-to-give-up phase. It’s just not something we’re comfortable with because it means going out of the stability, routine and security of life that we’re all so attached to. Though having a beginner’s mind and having an expert’s mind are two entirely different things, for example, an expert believes there is one correct solution, one correct way to go about doing something. Whereas a beginner is open to exploring different possibilities, they may not all work but moving out of the comfort zone is the key lesson. It is possible to become an expert by using the mindset of a beginner, having an open mind is essential because if you keep holding onto beliefs and attitudes acquired at previous stages of learning, you’ll never let go and look beyond. Lifelong learning is another essential, to be driven by curiosity to find out more about anything and everything rather than trying to prove that you’re right or superior compared to others. It should never be about winning or being right, it should be about exploration, curiosity, trying something new without judgement, always without the judgement. Thanks for this, lately I feel so bad about not having any improvement and feeling like i am stuck at the starting level for too long. Now I feel like being a beginner isnt too bad afterall.